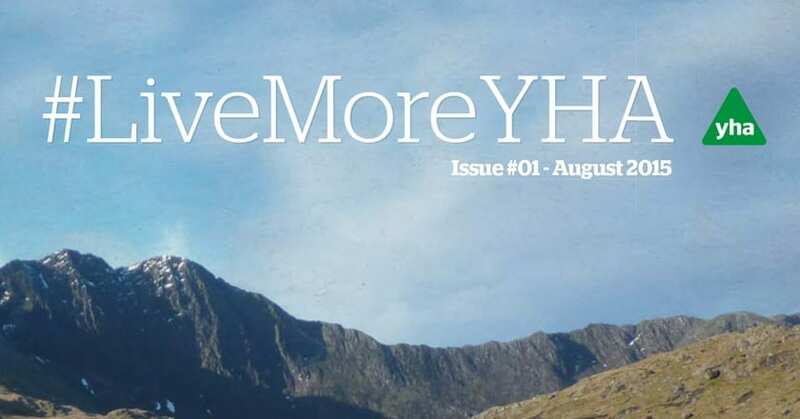 #LiveMoreYHA August 2015 is out now! The first issue of #LiveMoreYHA is out now and available for you to read online here or on our online magazine reader Issuu. This brand new quarterly publication showcases the very best of England and Wales across coast, countryside and city. In #LiveMoreYHA Issue 1 we hike the full length of the fabled Snowdon Horseshoe, visit the Royal Pavilion and skim pebbles on a family trip to Brighton and we hear from Ben Fogle on his love of the great outdoors. LiveMoreYHA Issue 1 is here, share this publication with your friends! We also speak to Alan Hinkes, YHA Ambassador and the first Brit to climb all the world’s mountains over 8,000m, to hear his take on exploring the UK. Elsewhere you’ll also find how-to tips on map reading, cookery and stargazing. Whether you’re a valued member, a long-term supporter or just a friend of the organisation, we hope #LiveMoreYHA will inspire you to explore even more of England and Wales. Enjoy reading and let us know what you think via our social media channels.